Give our paramedics space to save lives. In a bid to raise awareness and public support of safe work environments for paramedics, St John Ambulance NT this week launched its new ‘Hands Off!’ initiative. As part of the campaign, ‘Hands Off! – Give our paramedics space to save lives’ stickers will be displayed on all Territory-based St John Ambulance vehicles in coming weeks. 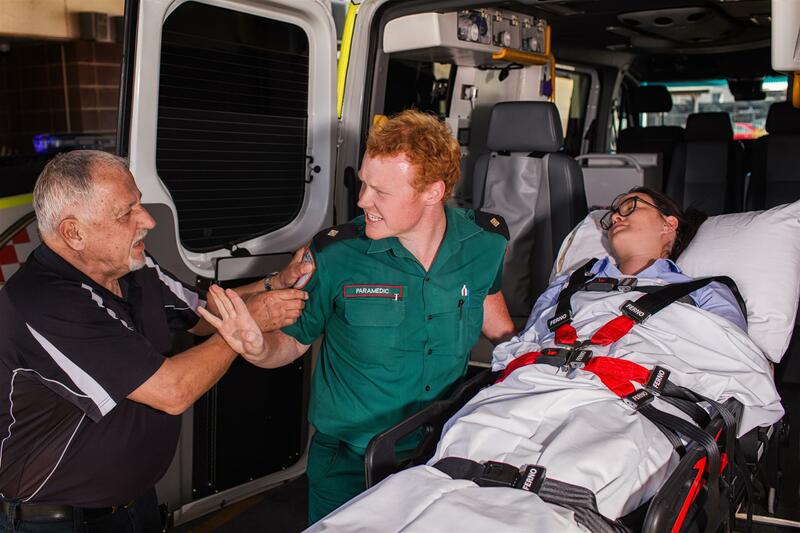 Every year, on average one in six Territorians uses an ambulance, with St John transporting over 38,000 patients and attending more than 52,000 cases across the NT last year alone. 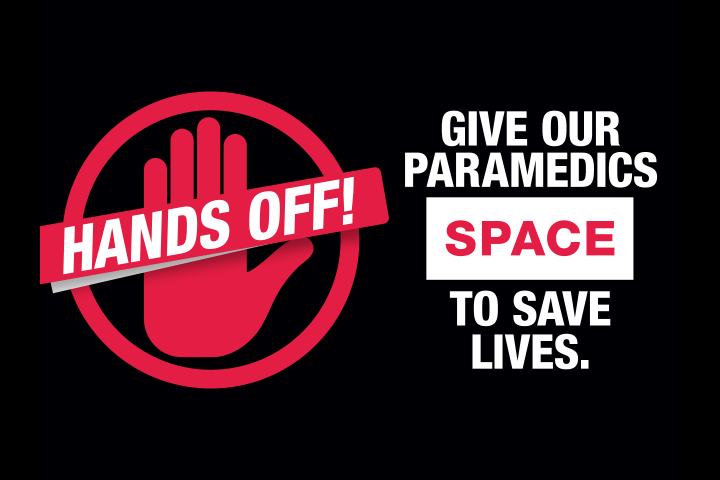 The ‘Hands Off!’ campaign aims to remind the public to give paramedics the space they need to treat and care for those in need. St John Ambulance CEO, Judith Barker, said it was important for paramedics to be able to do their job uninterrupted and in a safe environment. “It is the first five or ten minutes that could mean the difference between life and death for a patient – to make those crucial minutes count, our paramedics need to be able to treat patients without having to worry about their own safety,” Mrs Barker said. 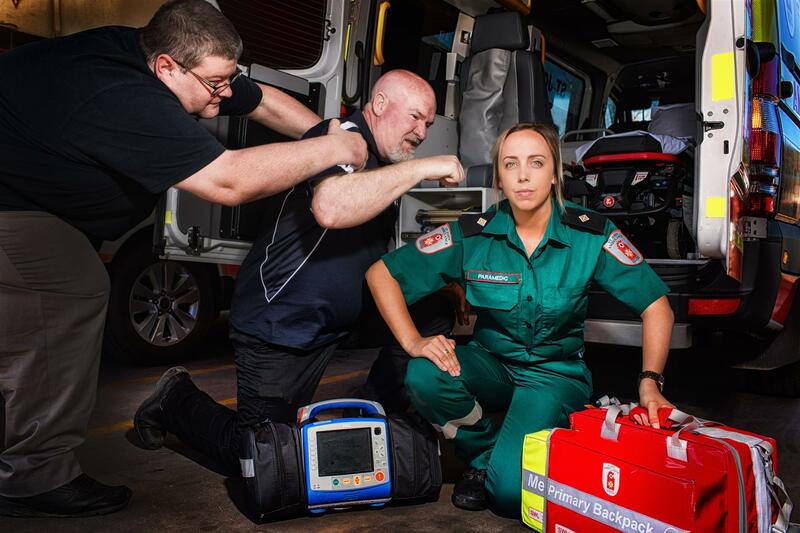 Having been assaulted while trying to help members of the community in a medical emergency, St John Ambulance paramedic Troy Jones said the chance of being assaulted at work was always in the back of his mind. “The thought is always there. We don’t come to work worried, but we also don’t come to work to get assaulted,” the paramedic of 6.5 years said.